Whale sharks! 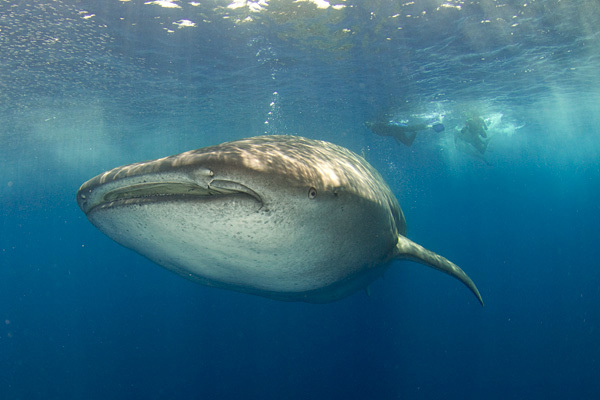 Each year, between March and May, whale sharks converge on the Bay Islands off the east coast of Honduras. The whale sharks stop at Utila on their seasonal migrations to feed upon bait balls composed of thousands of small silver bait fish (probably mackerel or sardines and a variety of other juvenile fishes). The sharks are not the only large animals that stop to feed on the bait fish. Snorkelers will often see tuna and other game fish attacking the bait as well as occasional reef sharks. The encounters are brief but dynamic, with whale sharks swimming right through the writhing ball of fish and occasionally stopping to vertical feed. After anywhere from a few seconds to 20 minutes, the fish in the bait ball race away in their frenzy to escape the predators. The sharks then descend into the cobalt blue water and surface again in the distance as the bait ball reforms. 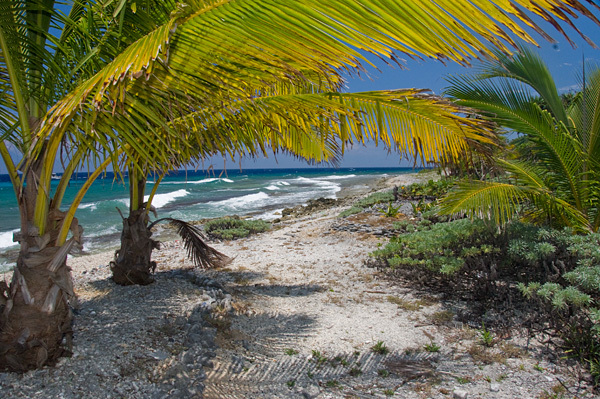 Other elasmos on Utila include occasional nurse sharks, spotted eagle rays and southern stingrays. Inside the mangrove fringed lagoons there is a colony of Caribbean whiptail stingrays but they are rather illusive animals. I wouldn't be surprised to hear that Utila had begun to sink under the weight of dive shops offering whale shark encounters. A stroll along the main street in town will reveal dive shop after dive shop with large painted whale shark murals and signs offering dirt cheap open water courses and cut throat diving/accommodation packages. 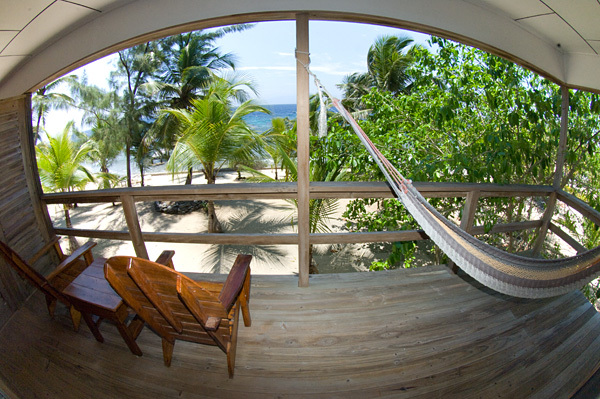 As appealing as this may be to budget travelers, there is another side to Utila. 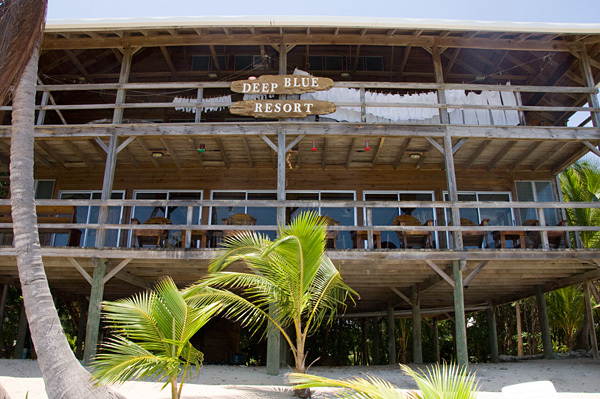 Far from the maddening crowds (but a mere 5 minute panga ride around the bay) there are a number of rustic resorts offering whale shark encounters and all inclusive dive packages to more serious divers. 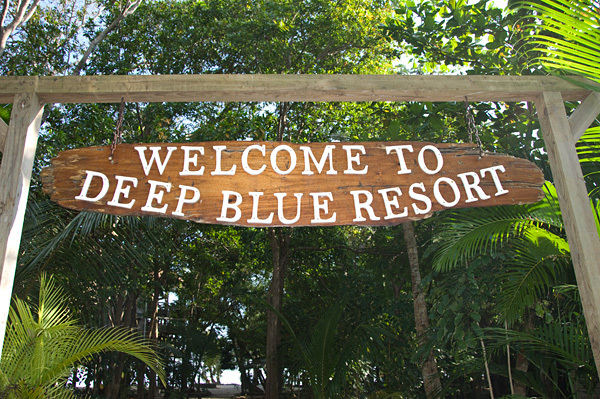 Among these, Deep Blue Resort has an excellent reputation. 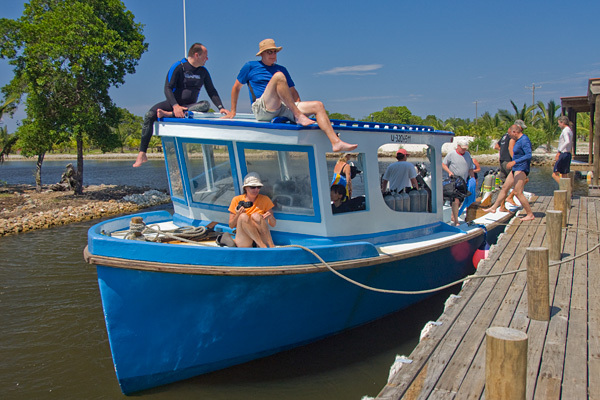 Their dedicated dive boats can whisk up to 20 divers out to an endless supply of fringing reefs and then (during the whale shark season) they motor out into shark territory and scout for boiling patches of ocean that indicate a feeding event is taking place. Once the divers have had their fill of snorkeling with the sharks, the crew return them to the reef for more world class wall diving.